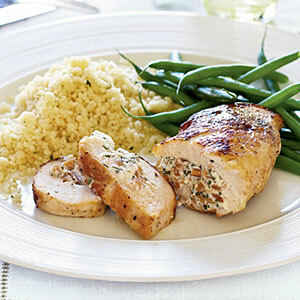 this weekend we made a recipe from the march issue of cooking light-- almond-stuffed chicken. it was fantastic. this is such an easy meal to make, and the results are gourmet. no one will believe you prepared it in under an hour... and it's light too! we served it with fresh snap peas and multi-grain bread.